I too have a creative voice, and I’m suddenly getting the urge to sing… To be engaged and involved with an online community of other artists, and cyber-visible to more than the occasional passer-by of my website. My intention here (more about setting intentions from some Very Smart Girls) is to bushwhack a trail for myself in this huge forest, which will serve not only as a path for me to continually explore and follow but also for you to be curious about, and want to follow too. Since discovering the work of Alyson Stanfield and her vibrant and helpful ArtBizBlog, I want to make blogging an integral part of my art practice, expanding my personal creative quest. Spicing up the journey. Thinking, talking, writing about it all. Embracing the awkwardness about putting myself out there (or in here, as it happens). British artist and blogger Natalia Komis gives some good advice about it, saying “If the studio is where you practice your making, your blog is the place where you can practice your writing… and open up a space for a critical and analytical dialog between yourself and your work.” And, other artists and their work. Cleaning Up the Studio is my other studio. A new place to make, think, look, create, question, wonder, share. Maybe weep. Maybe laugh. And when you find it, please do come in, sit down, pick up a pencil, write a memo, or draw a picture. Engage. Thanks. 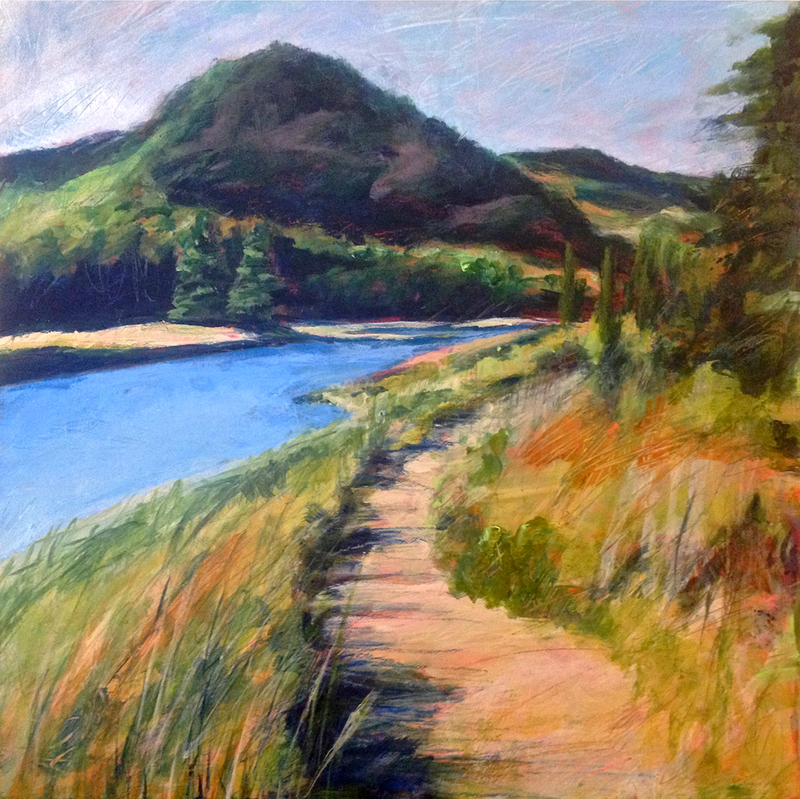 This entry was posted in Creative Journey and tagged Alyson Stanfield, art blogging, blogging, creative voice, engage, following the path, setting intentions, why blog. Bookmark the permalink. ← #2. Longing to know… Blogging to grow. Congratulations on your new blog, Karen! And thank you for the shout-out. I wish you all the best in 2014.